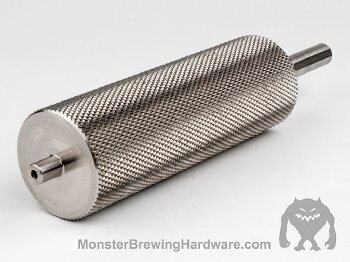 2" diameter replacement drive roller for our MM-2Pro/3Pro, or MM2-2.0 / MM3-2.0 mills. If your mill is worn out, or if you dropped it and now the drive shaft wobbles, we offer replacement drive rollers. 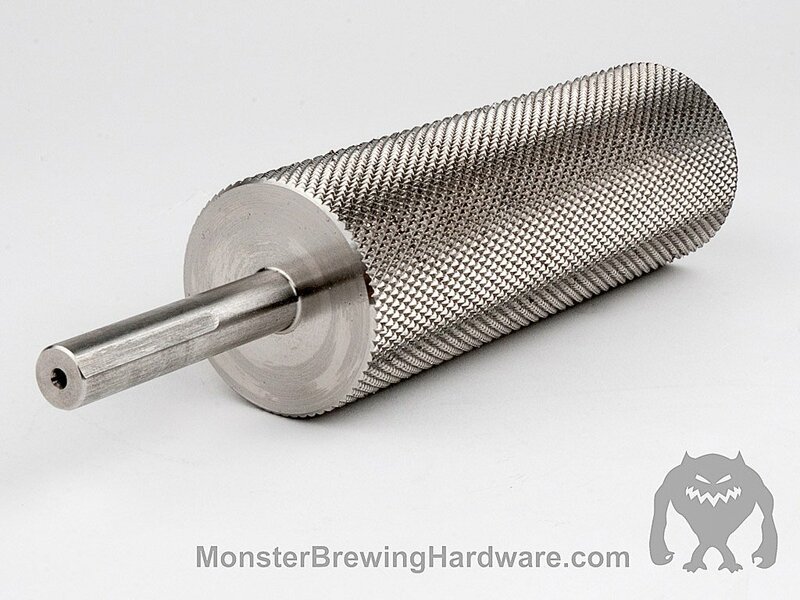 The standard 1144 alloy steel on our mills should last between 12 and 15,000 lbs of grist. Heat treated/hardened steel should go 200,000+ lbs. If your mill feeds intermittently, or not at all, then your drive roller could be worn out. The drive shaft is integral to the roller, ie, it's all one piece of metal, so if the drive shaft gets bent for some reason then you might want to get a new drive roller. These rollers are 6" long, 2" in diameter, and come standard with the 1/2" shaft with 3 flats, or the optional 1/8" key slot. They fit all of our older 2.0 series mills, and the new Pro series mills.